Glucosamine for cartilage: Your connective tissue - cartilage, ligaments and tendons - affect every move you make. From getting out of bed in the morning to rough-housing with the little ones. That's why it's important to keep these tissues healthy so you can move freely throughout the day. An important building block for cartilage, glucosamine helps support flexibility and range of motion. Chondroitin for joints: Chondroitin is a unique nutrient used by your body to help keep your joints flexible and healthy. It's comprised of collagen, fluid and other substances. 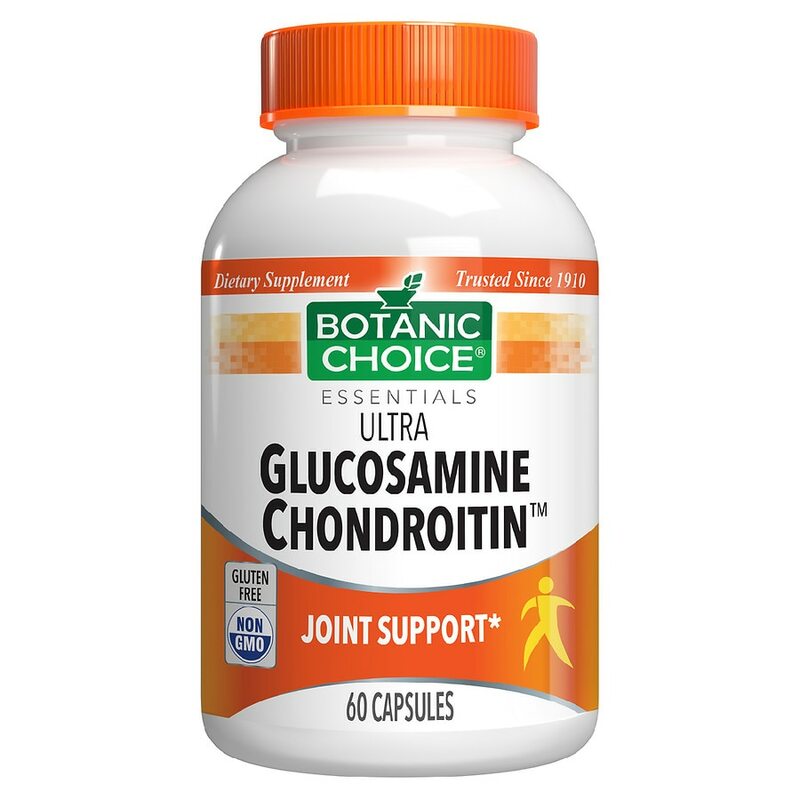 Together, the combination of glucosamine sulfate and chondroitin sulfate is hard to beat. Treat your joints right and they'll treat you right, too. Take 1 capsule 3 times daily, as a dietary supplement, or as directed by a qualified health care professional. © 2011 Indiana Botanic Gardens, Inc. If you are taking any medications or are pregnant or nursing do not use prior to consulting a physician. Contains Crustacean shellfish (lobster, crab, shrimp).